This weekend sees two road race events down for decision as well as Errigal's tough Hills of Donegal Tour and Slieve Gullion's very popular Tour of Carlingford Leisure event. The Irish spirit really shined through on todays last day of the 2012 UCI Paracycling Track World Championships in Carson L.A. In this morning’s Sprint qualification round Irish Pursuit World Champions set a new Irish Record of 12.259 to leave them in 4th place and secured the last available place in this afternoon’s Match Sprint finals. Male tandem pairing of Andrew Fitzgerald and Con Collis put in a good performance to record a time of 11.631 which left them in 17th place. 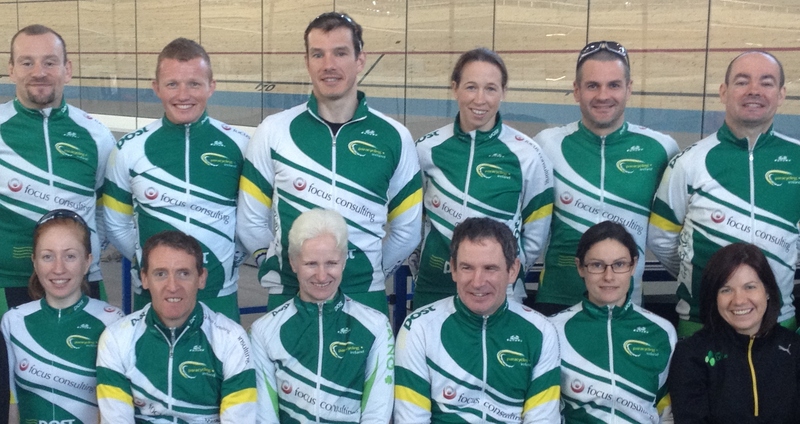 The 2012 Paracycling Track World Championships got off to the best possible start for the Irish Team this morning at the Home Depot Velodrome in Carson L.A. 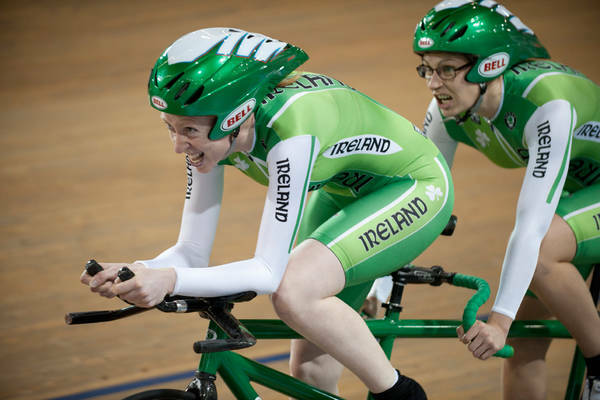 In the 3km Female Tandem Pursuit Qualifiers Catherine Walsh and her Pilot Francine Meehan set a new Irish Record of 3:37.392 to finish in first place and guarantee a ride off for the Gold Medal in the afternoon’s finals. 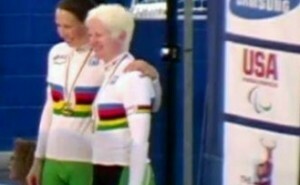 In an unbelievable result Fran Meehan and Catherine Walsh became the first ever Irish Paracycling Track World Champions. The rainbow jersey will come home to Ireland courtesy of a hard working pair and their excellent back up team. 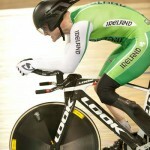 Cycling Ulster are delighted to see Andy Fitzgerald on the Irish Paracycling Squad for the Track World Championships. Brian Nugent and Gerry Beggs from Ulster will also be accompanying the squad. Cycling Ulster would like to wish the whole squad the best of luck in the Championships. For the full press release see below. 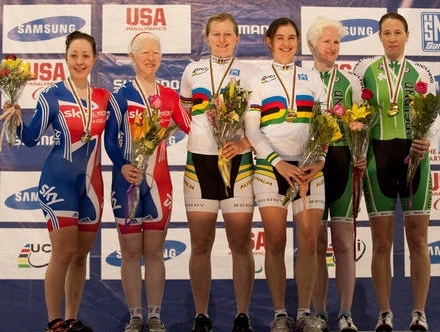 Irish tandem pairing of Catherine Walsh from Swords and her pilot Fran Meehan Tullamore continued the medal winning performances by the Irish Paracycling squad when they secured a Bronze Medal in the Time Trial at the UCI Paracycling Road World Championships today. 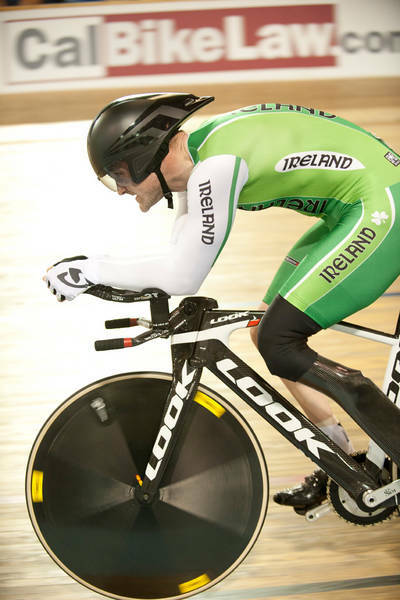 Irish Paracyclists Colin Lynch and Mark Rohan completed an historic double on day one of the UCI Paracycling Road World Championships in Roskilde Denmark today by both taking the World Championship Crown in their respective categories. Colin won the C2 Time Trial this morning when covering the 15.2 km distance in a time of 222:35.421 to take the Gold Medal by over 12 seconds from the Italian Fabrizio Macchi with the Spaniard Maurice Far Eckhard in 3rd.